Carrier understands that the quality of our “after-sale service” can be a strong indicator of total customer satisfaction. We view after-sale service with the importance that it deserves. If you are experiencing a problem, let our product knowledge and collective experience minimize your inconvenience. Call us today with your questions. 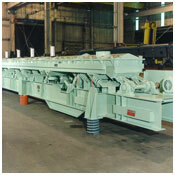 Troubleshooting Conveying, Feeding & Elevating Equipment, Click Here. 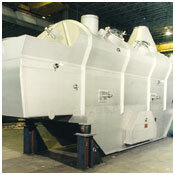 Troubleshooting Dryers & Coolers, Click Here. Click for a YouTube video on how to read a stroke plate. We offer our services to recondition used Carrier vibratory equipment as well as non-Carrier or competitive vibratory equipment for a fixed fee. Fee to cover services of a Field Service Technician on site for inspection, a complete Installation and Operation Manual, detailed drawings, recommended spare parts lists, and formal trip report outlining findings and recommendations as required. Please contact our Service Manager for current rates and policies. Call us today with your questions. The Service Department is available for emergency consultation 24 hours a day, seven days a week, including holidays. For emergency parts or emergency service assistance, call 1 + (502) 969-3171 and follow the prompt. Assistance Instructions will include the Aftermarket Manager and Service Manager’s cell number for 24/7 contact.